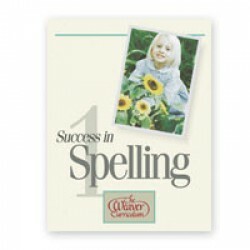 Focusing on phonics rules, proper study habits, and review for reinforcement, Success in Spelling Level 1 will help your child apply what they learn to their writing. Nineteen lessons cover short and long vowel words. Exceptions to the rules are also covered. Suggested for Grade 2, when the child is reading fluently.